This is the BEST recipe for Lemon Bread Ever that comes straight from my great, great grandma’s recipe box. This lemon bread is tender, moist, and full of bright lemon flavor and finished with a sweet glaze. 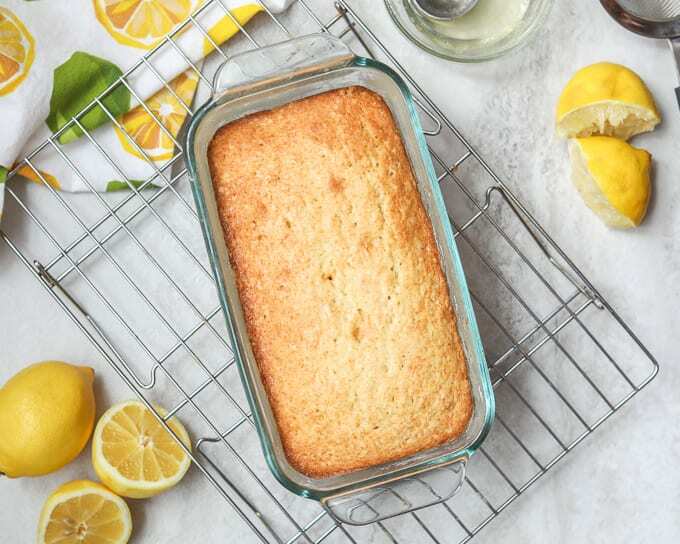 Do you love lemon baked goods? Then not only is lemon bread a must try, you also will love Blueberry Coffee Cake with Lemon Glaze, Lemon Bunny Scones and Lemon Scones. This easy lemon bread recipe has been passed down in my family for years. In fact, one of my treasures is the hand-written recipe for this lemon bread from my great-grandma. And after one bite of this lemon bread, I think you will agree, my Great-Grandma’s recipe is truly the best. Start with room temperature butter and eggs–this is key to a tender quick bread recipe. 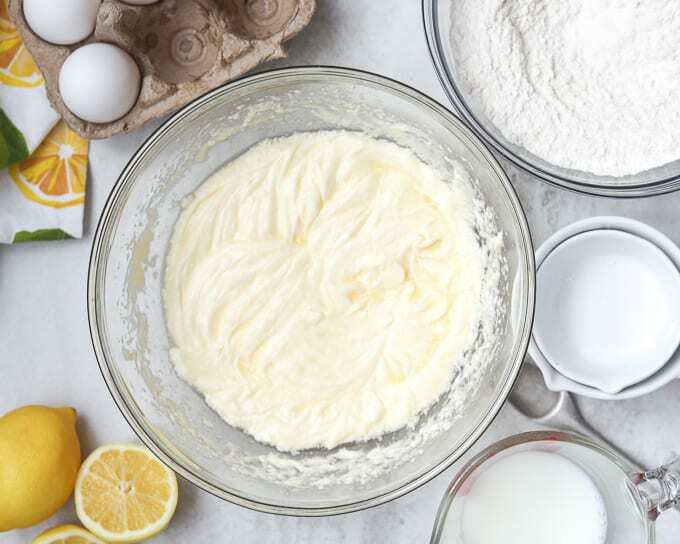 With a hand-held mixer or stand mixer, cream together butter, eggs, and sugar together until light in color and fluffy. Sift together flour, baking soda and salt into a separate bowl. Mix to fully incorporate baking powder through flour. 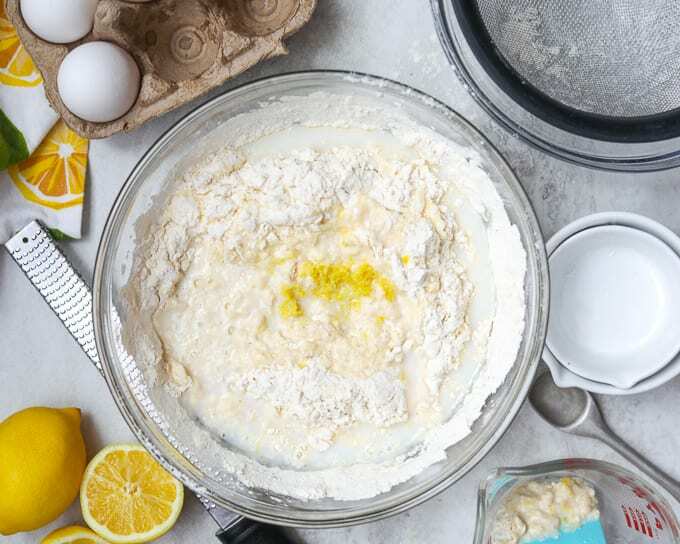 Add sifted flour, milk and lemon zest into creamed ingredients and fold the batter until just combined. Pro-tip: zest the lemon BEFORE slicing it open! Grease a 9 inch loaf pan with butter. Add a half tablespoon of flour to pan and shake to coat bottom and sides of pan. Shake out excess flour over trash can or sink. This will truly help your lemon bread to not stick to your pan. 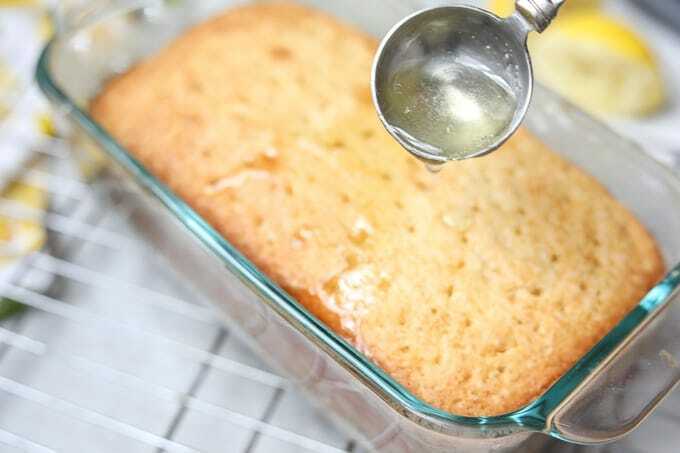 Pour your lemon bread batter into your prepared pan. Tap on counter to distribute batter and remove air bubbles. Bake for 50-60 minutes at 350 degrees or until the bread is set. You can test this by inserting a toothpick–when it comes out dry your bread is done baking. Or you can gently touch the top of the bread, if it springs back, it is ready. While the bread is baking, whisk together lemon juice and sugar until a simple syrup is formed. PRO TIP: I find it extremely helpful to microwave my lemon before juicing–this gets the juices flowing plus the warm lemon juice helps to dissolve the sugar. 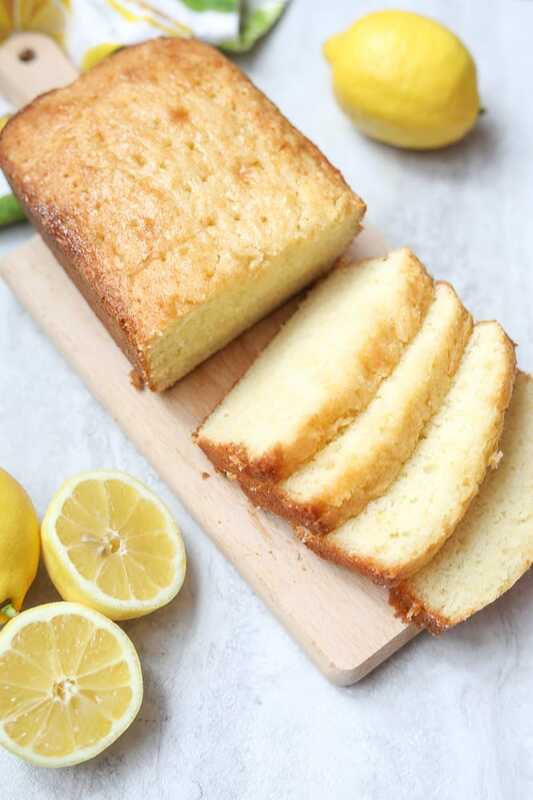 Once your lemon bread is done baking, place on a cooling rack and immediately poke holes into the bread using a wooden or metal skewer, halfway down the loaf. Pour the lemon glaze over the bread, allowing the glaze to sink into the bread. Let the bead sit in the loaf pan for 10 minutes to cool. Then loosen the sides with a butter knife and remove lemon bread from pan. Let cool completely before serving. 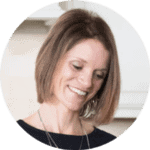 Stuck in a dinner rut? Be sure to sign up for my free meal plans. 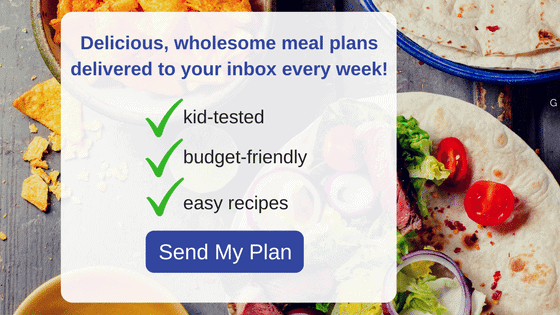 A week of family friendly meals will be delivered to your inbox every Saturday. 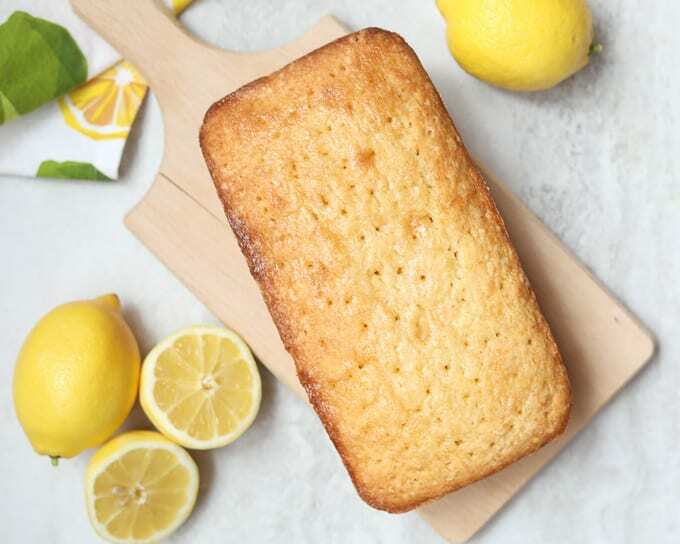 An easy and delicious recipe for Lemon Bread that is even better than Starbuck's Lemon Loaf. This lemon bread is tender, moist, and full of bright lemon flavor and finished with a sweet glaze. Preheat oven to 350 degrees. Butter and flour 9 inch loaf pan. 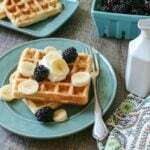 In a large mixing bowl, cream together butter, eggs, and sugar until light and fluffy. In a smaller bowl, sift together flour, salt and baking powder and whisk to evenly distribute salt and baking powder. Add the flour mixture to the creamed mixture, along with the milk and lemon zest. Fold to evenly incorporate batter. 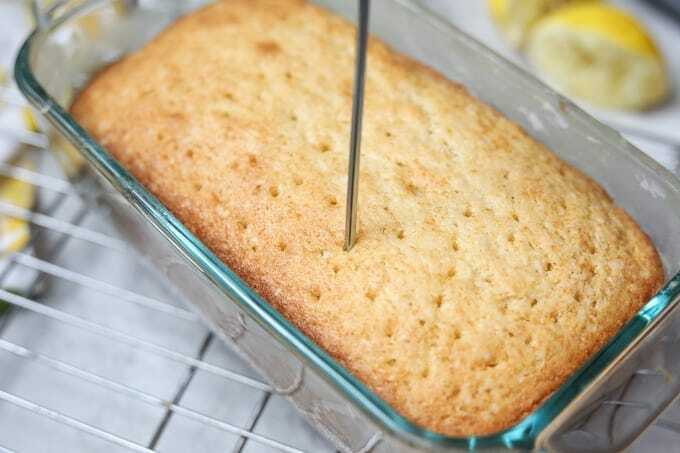 Bake for 50-60 minutes or until toothpick inserted into lemon loaf comes out clean. After baking, leave your lemon bread in loaf pan and poke holes halfway to bottom of pan evenly along the top of the bread. Pour glaze over lemon bread. Let sit in loaf pan for 10 minutes and then remove to cooling rack to finish cooling completely. Lemon bread will keep in a sealed container for 3 days at room temperature and for 5 days if refrigerated. Be sure to use only FRESH lemon juice for this recipe. This recipe will require about 2 fresh lemons (their zest and juice). Room temperature eggs and butter are recommended for the best results. I love lemon bread, this recipe did not disappoint. So tasty and moist.